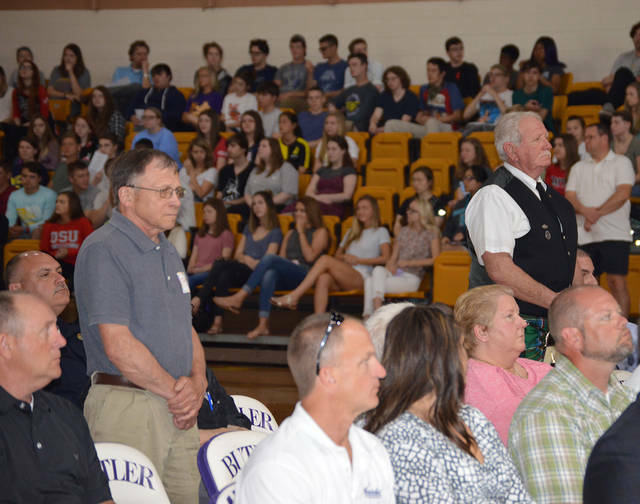 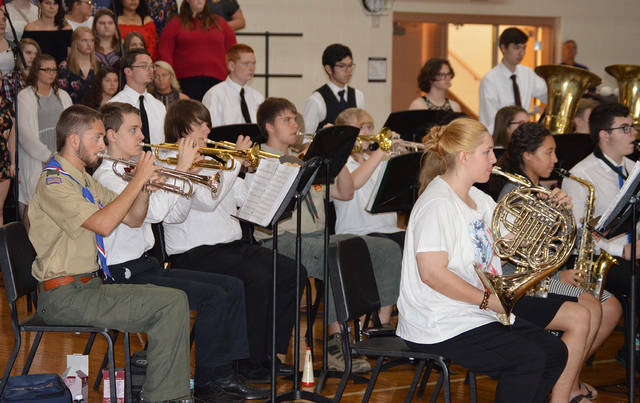 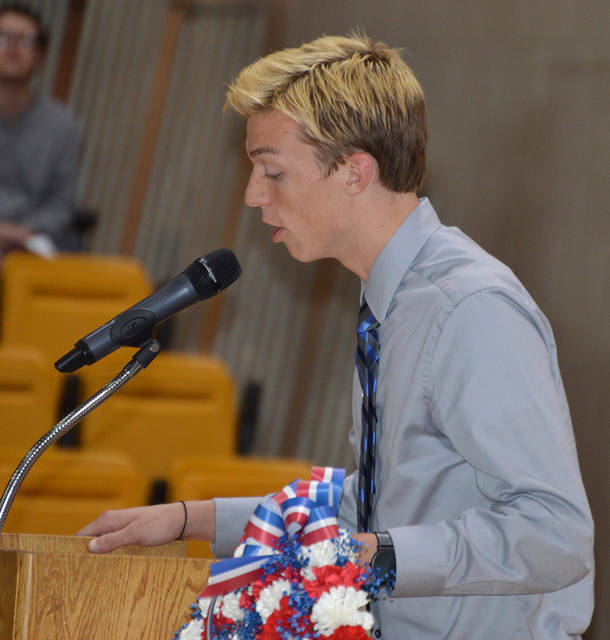 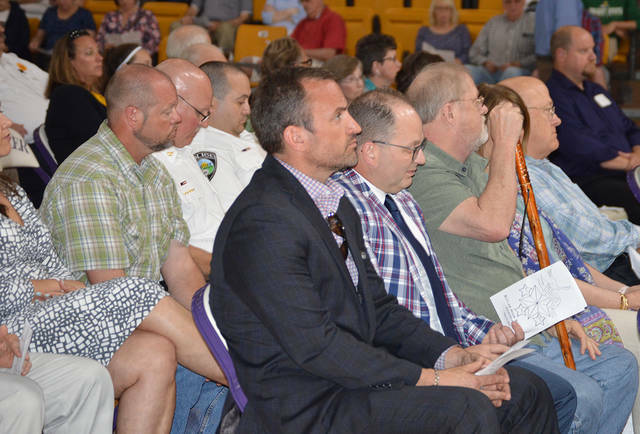 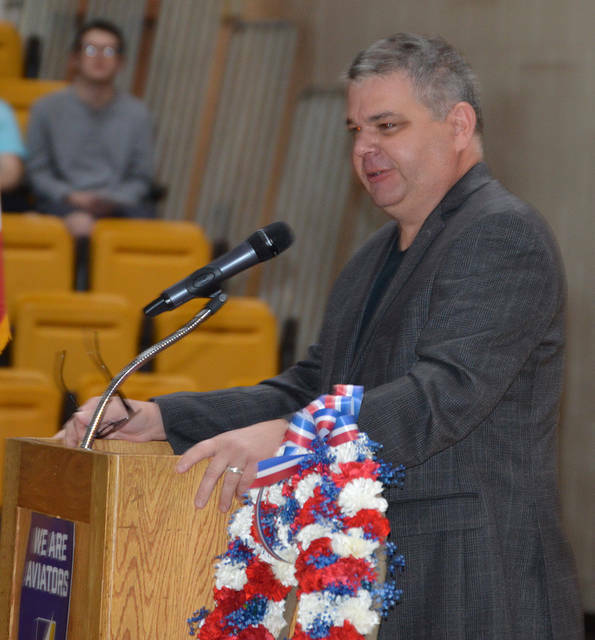 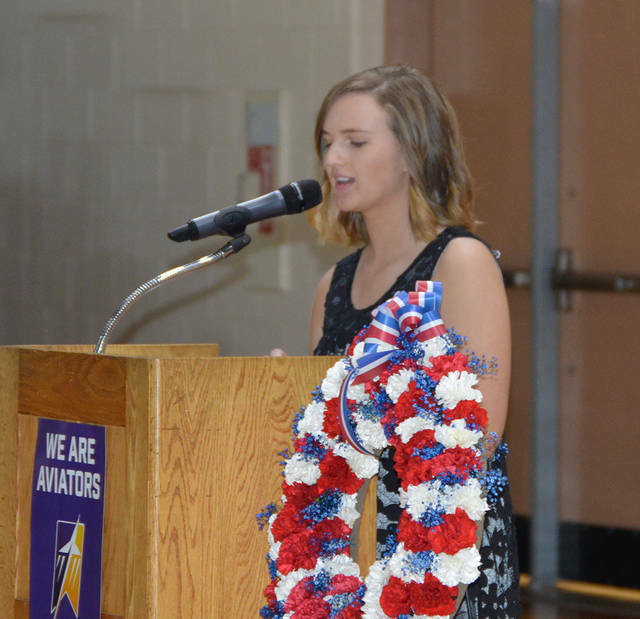 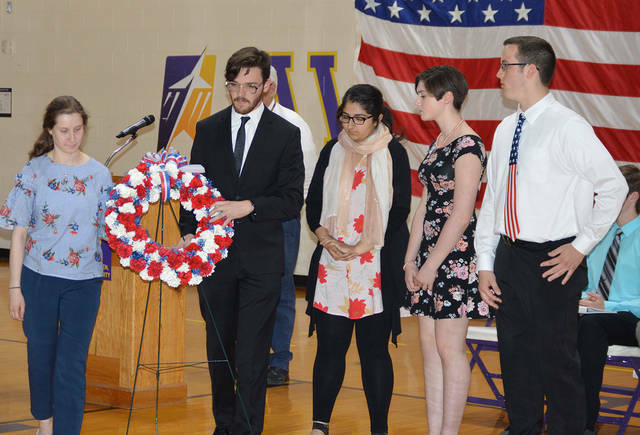 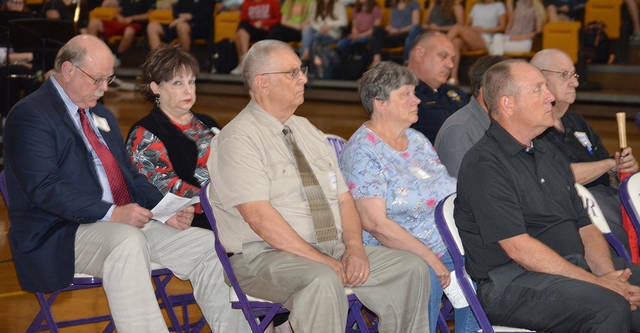 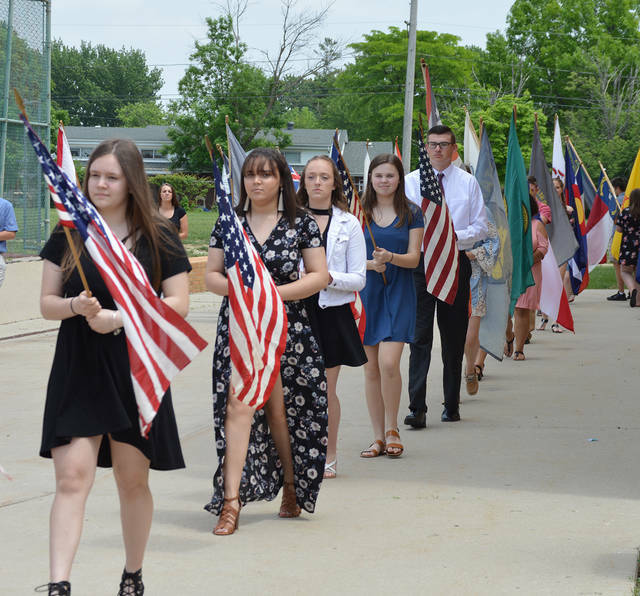 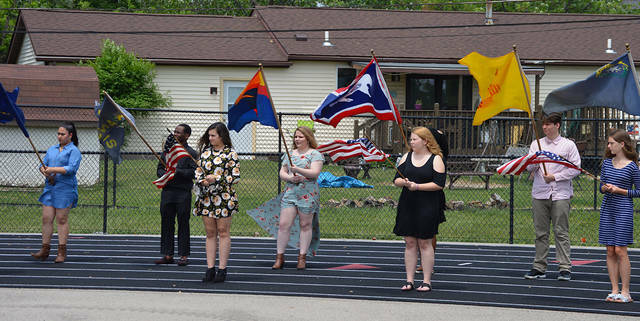 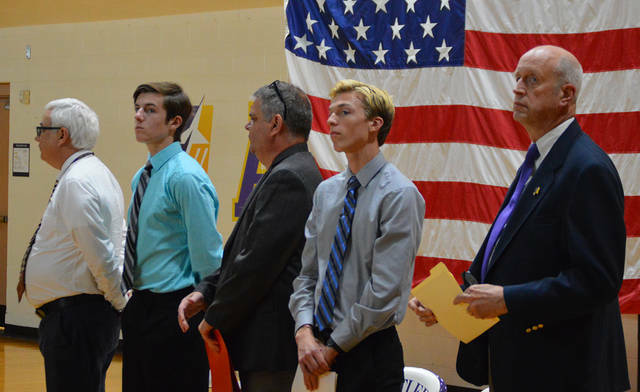 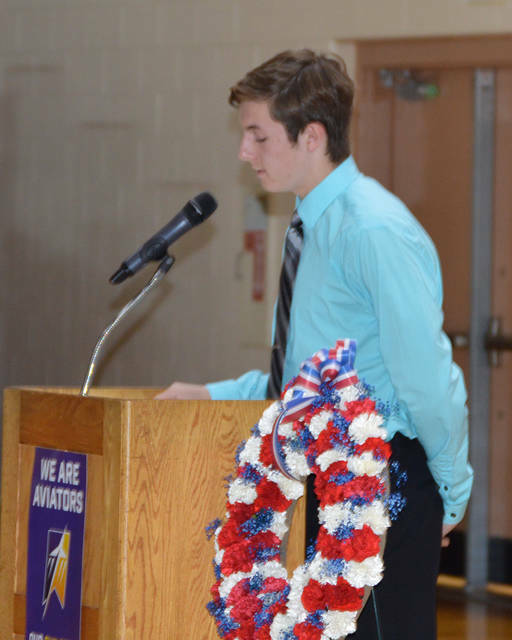 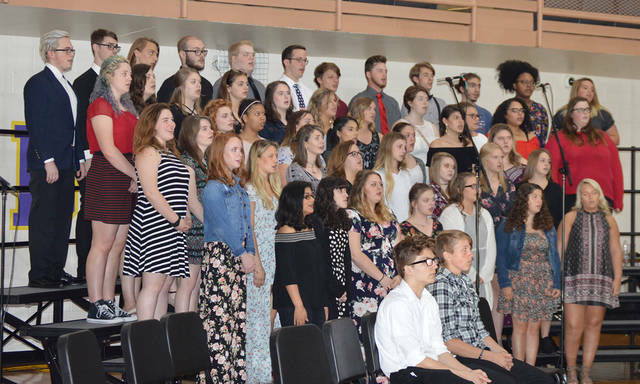 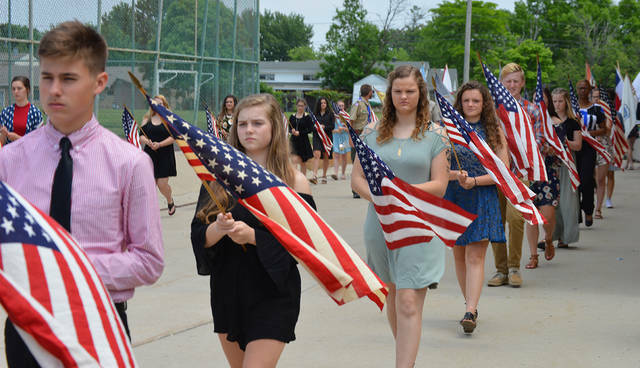 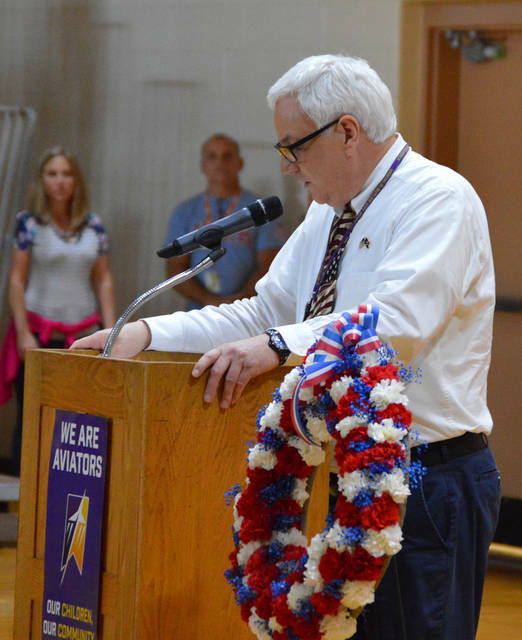 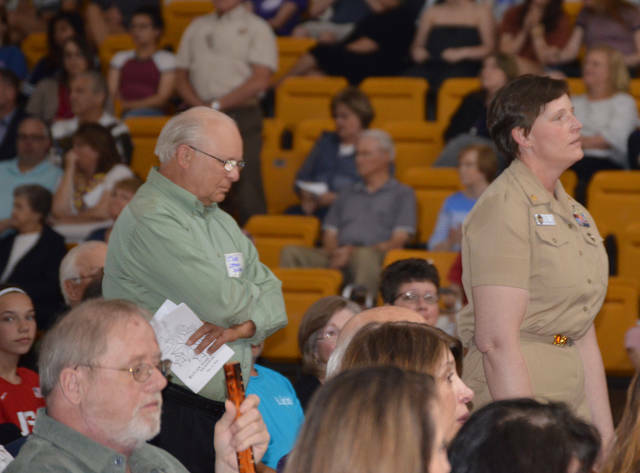 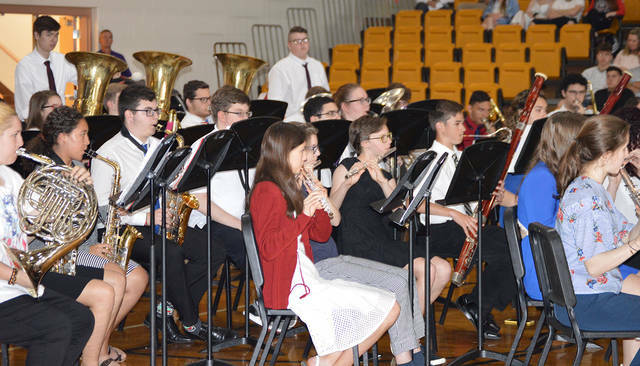 VANDALIA — Butler High School students and community members honored 16 fallen members of the Vandalia-Butler community during the 39th Annual Memorial Day Program on Friday. 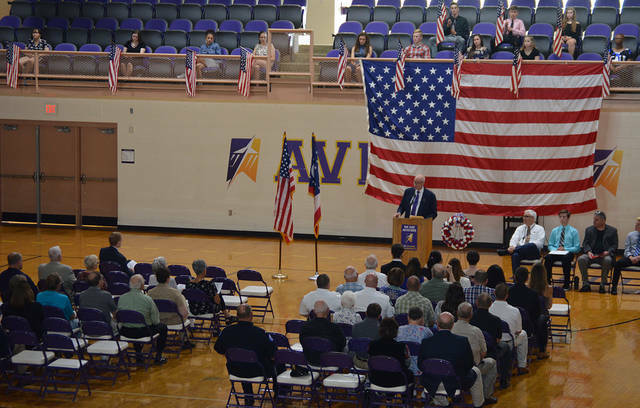 The program honored 16 individuals dating back to the Civil War: Joseph Beal, Ambrose Beeson, Dean Black, John Buckmaster, Dennis Davidson, James Jordan, Jr., Robert Lumm, Elwood Rogers, David Sabec, Gary Schlecht, Kay Shearer, Hillory Shifflett, Larry Tootle, Dorothy VanZant, Thomas Westerman and George Youngerman, Jr. 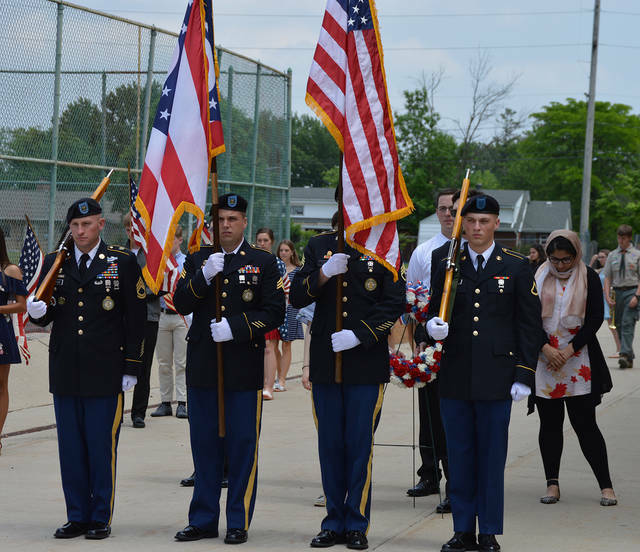 The colors were presented by SFC Paul Browder (Class of 2000), Sgt. 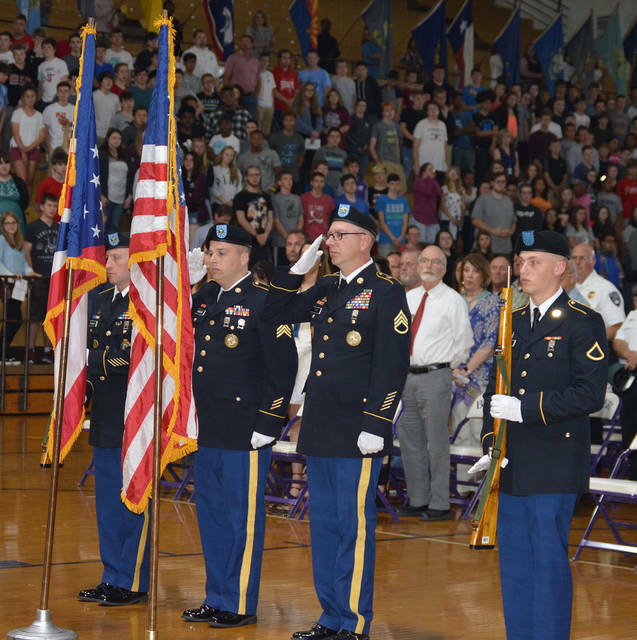 Ryen Carter (Fairmont Class of 2007), SSG Tony Elrich (Class of 2010), and PFC Matt Smith (Class of 2017). 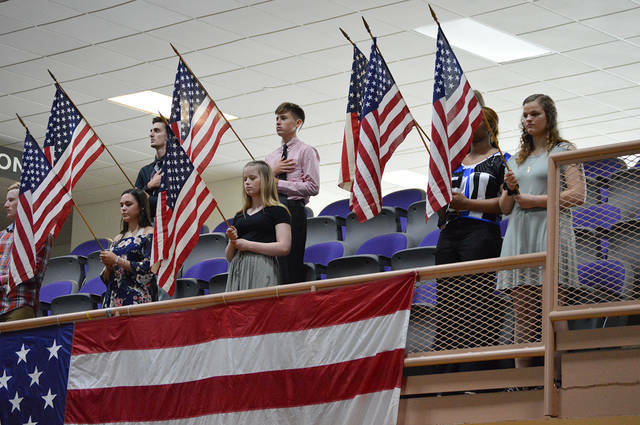 The Butler Chamber Choir led the singing of the Star Spangled Banner and Eagle Scout Blaine Payton introduced guests and led the assembly in the Pledge of Allegiance. 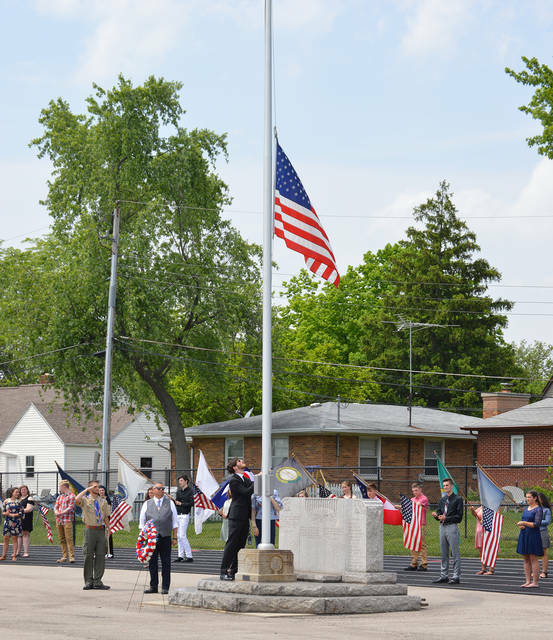 The ceremony concluded with a wreath being placed on at the base of the flag in Butler Memorial Stadium as the flag was lowered to half-staff. 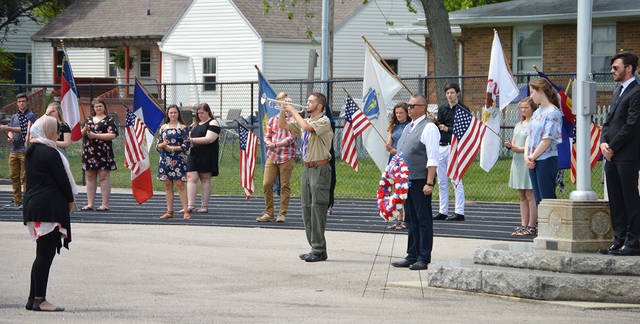 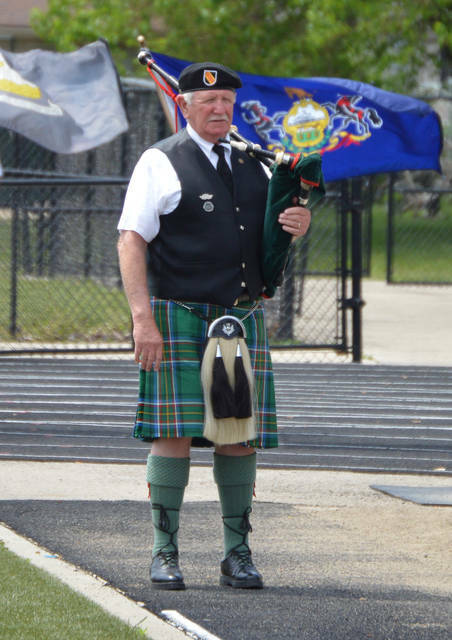 A color guard provided a 21-gun salute and Taps was then played before the audience was dismissed. 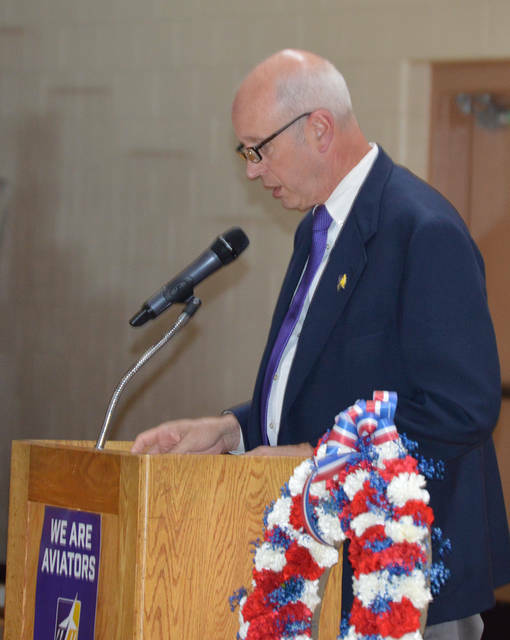 Jackson urged those in attendance to not take the sacrifices of the fallen for granted.